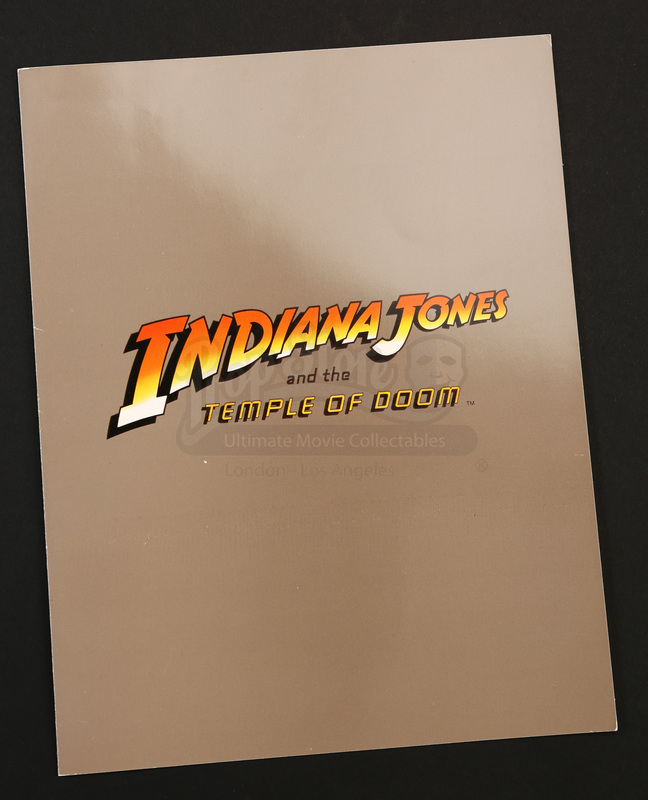 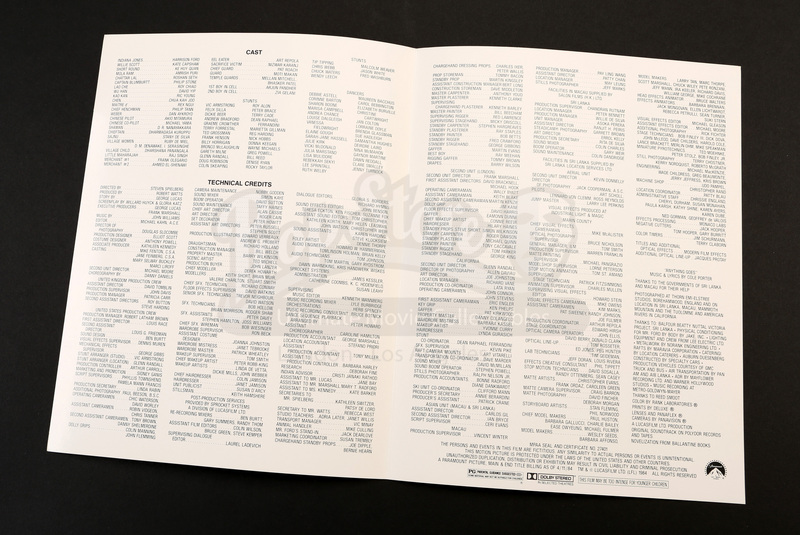 A cast and crew credits folder from Steven Spielberg’s 1984 adventure / sequel Indiana Jones and the Temple of Doom. 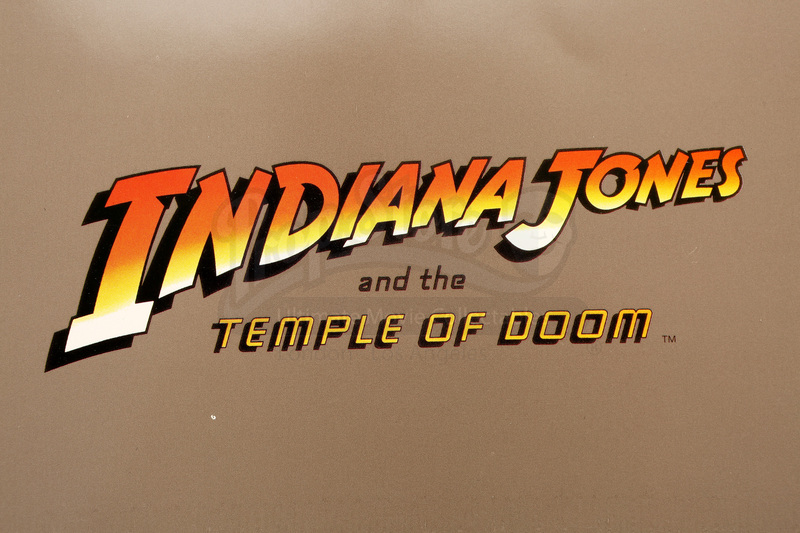 Indiana Jones (Harrison Ford) helps a small Indian village recover their sacred stones and uncovers a dangerous cult hidden deep beneath a royal palace. 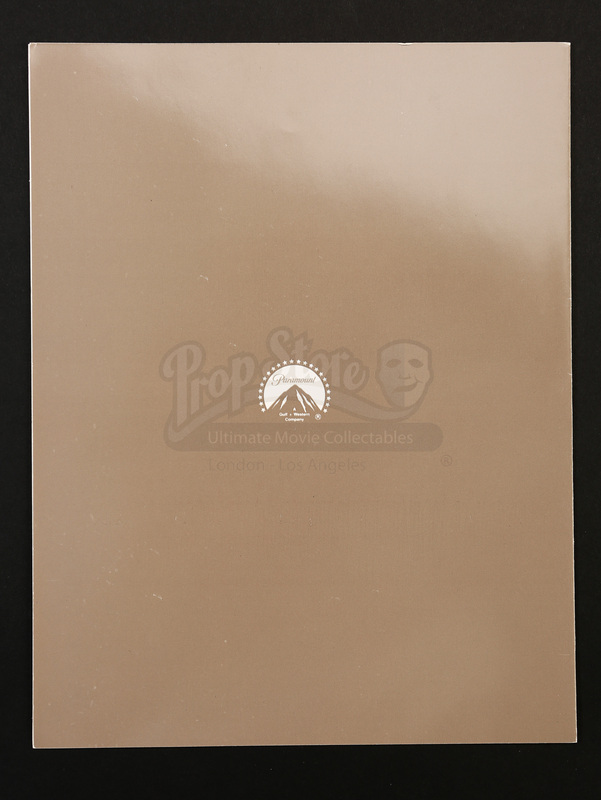 Printed on thick khaki colored paper, this folder bears the film’s logo on the front with the Paramount logo in white on the opposing side. 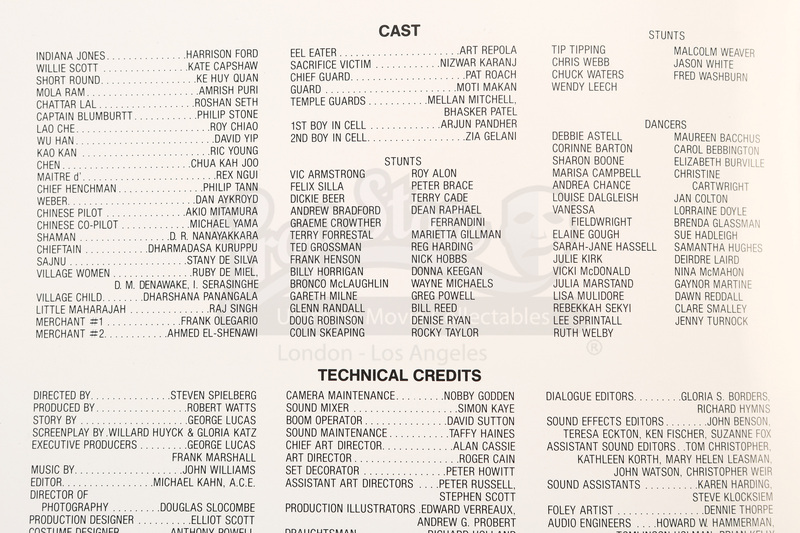 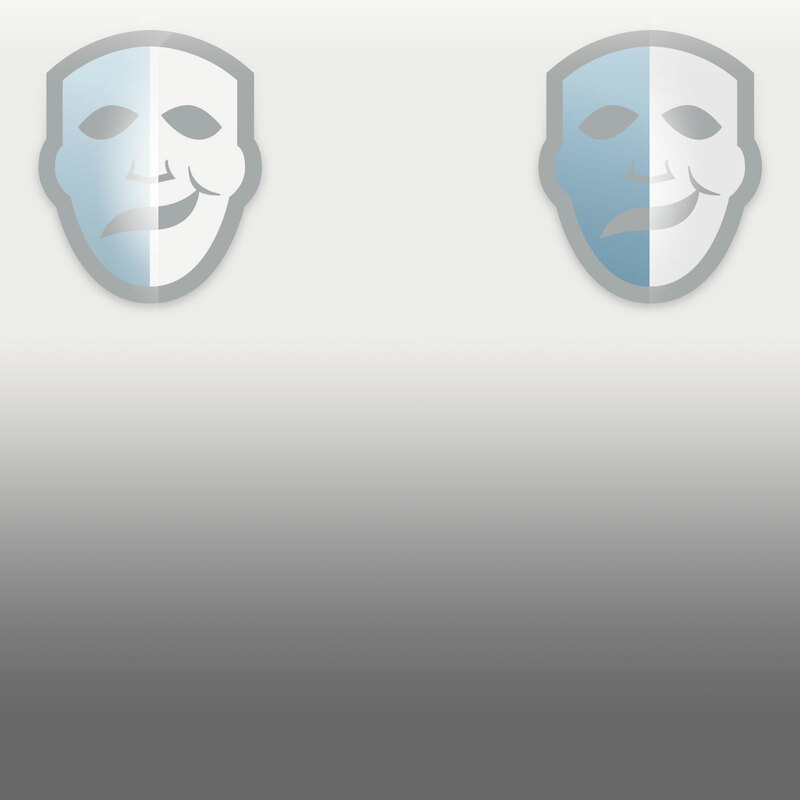 Inside the folder is a list of the cast and technical credits spanning the entire spread of the piece. 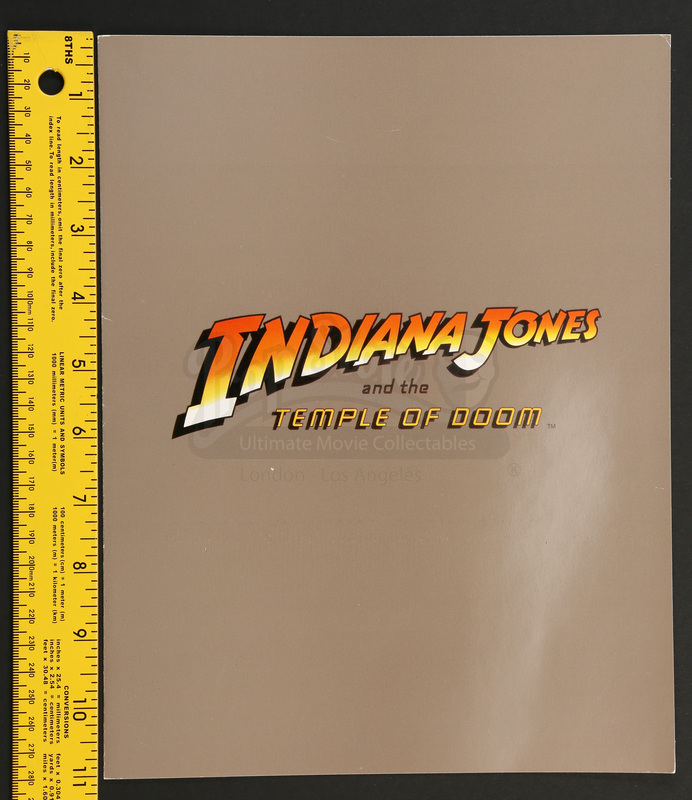 This item shows slight creases and bends due to age, but remains in good overall condition.